As an architectural and property photographer, I get to work with a range of different clients across a variety of sectors from industrial to domestic buildings. 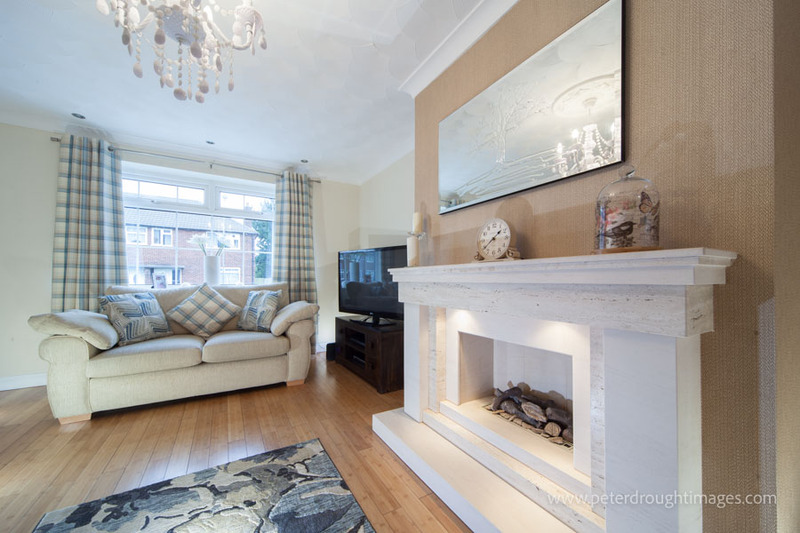 Each of these has its own cycle of work over the course of a year, and estate agent photography is no different. The bulk of listing activity happens in the spring from January through to May with a slight dip over the summer before a final “end of summer peak” in September, before the winter sets in. This cycle of listing and sales makes a lot of sense. Most people are busy with family matters pre Christmas and so tend to defer preparing the house for the busy summer sales season until after the festive period. Likewise, the early autumn surge is driven by people who want to put their home on the market before the end of the summer sales period, and before the winter weather sets in. In many ways these peaks tend to suit property photography well. We generally advise people to avoid having anything in the photographs that would date the pictures, and Christmas decorations are an obvious example of this. That combined with the generally hectic time of year would tend to suggest that December is a no show time of year for listing a house for sale. There is however one reason why you as a seller might want to list your house in December, Boxing Day! Statistically, most estate agents find that Boxing Day is the single busiest day of the year for views of property listings on Rightmove, Zoopla and other property listing portals. It would seem that after the sharing of presents, the family gatherings and the consumption of mince pies, many people like nothing better than to brows potential properties when considering that move that they are planning for the new year. So if you are able to dress your property neutrally, and have some time to spare on the run up to Christmas, listing your property a few weeks earlier than planned might just clinch you that sale!